Are Talking Cars a Bad Idea? 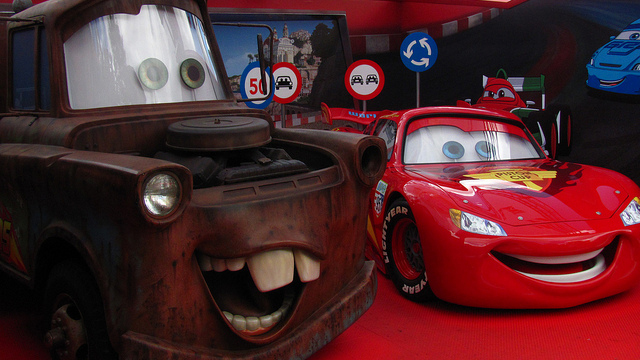 Talking cars have been portrayed in media for generations, but now this fantasy is closer to reality than ever. Of course, I’m not talking about KITT from Knight Rider or Herby the Love Bug (be sure to view our list of top movie cars for more goodies). What I’m referring to is an innovative vehicle-to-vehicle (V2V) technology that enables cars on the road to communicate with one another. By 2020, the National Highway Traffic Safety Administration (NHTSA) is hoping to have mandated the new automotive communication system in an effort to reduce collisions. Relying on various global-positioning systems, radars and cameras, the new on-board feature will assist drivers by warning them of on-coming traffic, hazardous intersections, complicated left turns and other potential risks. The question is – are these systems going to be effective? NHTSA believes that this initiative will reduce 592,000 accidents a year, thus saving 1,083 lives. And according to a study conducted by the Government Accountability Office, approximately 76 per cent of crashes that involve two or more vehicles can be reduced with V2V technologies. In addition, V2V technologies will also supply general traffic information to the driver when they commuting. Through the wireless connectivity to other vehicles, the driver will see which roads are congested in order to avoid them. This type of data will undoubtedly save time and fuel, as well as reduce traffic jams. If safety and serviceability is the priority, there is no doubt that talking cars will indeed be a good idea. However, there are a few matters to consider regarding talking cars that are causing car owners to think twice before driving off in such an intelligent machine. The most immediate concern for V2V car buyers is the privacy factor. In a global infrastructure where hackers rule the day, talking cars could become large targets. Once cars become wirelessly linked to each other through cellular networks, hackers will be able to intercept those signals, and from there, drivers can only imagine the worst-case scenario, which may in fact make talking cars more dangerous than your average “mute” cars. With over 100 million lines of code involved in V2V technology, programmers and engineers are staying realistic when constructing firewalls and other security measures to restrict unwanted entries. Since 2012, the University of Michigan Transportation Safety Research Institute, with 80 per cent of funding from U.S. Department of Transportation, have been undergoing an experiment where approximately 3,000 V2V cars are driving around Ann Arbor, Michigan. The project’s goal is to examine the system in full scale, determine whether traffic rules need altering and understand the safety benefits better. Recently, the organization has announced that they are planning to scale the project, tripling the connected vehicles on the road to 9,000. By 2016, NHTSA and car manufacturers should be able to have a clearer understanding of what talking cars can do. Then they will be able to relay those findings to drivers to (hopefully) eliminate any form of doubt when it comes to this technology. After all, V2V technology will only function properly if the drivers actually buy into it. It’s true that talking cars are not solving every problem on the road; in fact, the majority of accidents today only involve a single car, which is not something V2V technology can help prevent. But talking cars are a giant step forward in public safety. This new automotive communication feature may have its downsides, but it should still be embraced. After all, it will not only make rescuing people in accidents easier, but allow us to avert collisions altogether.